You can see most of the NYC sites associated with the Ramones in a single day, by using the subway. Starting at 53rd & 3rd will put you close to the E-M line, which you can take out to Forest Hills. After exploring the middle-class neighborhood where the Ramones spent their formative years, hop on the F train to the Bowery, where you can see where the band played their first series of gigs, as well as the street sign bearing Joey’s name. For the second leg of the tour, take the A train out to the beach that the Ramones helped make famous. A couple blocks west of Forest Hills High School, million- dollar homes surrounded by brick walls give way to uniform-looking apartment buildings. 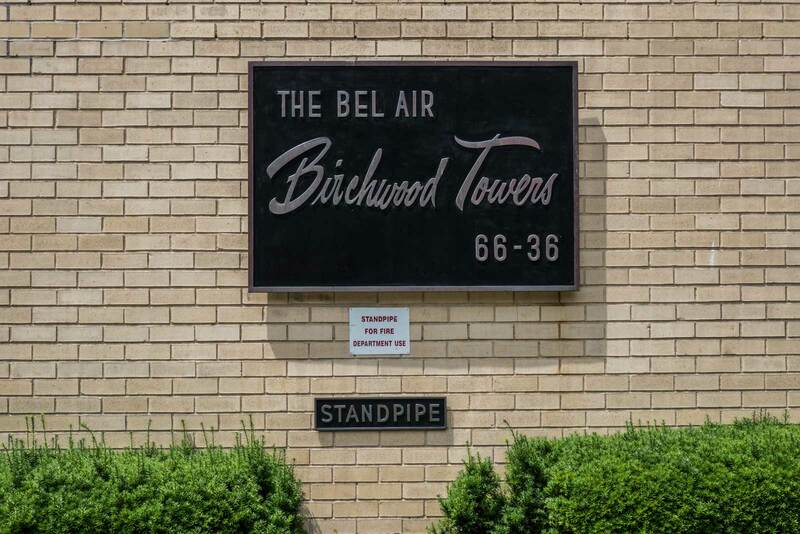 Joey lived in the Birchwood Towers apartment complex (Bel Air building apartment 22F). Douglas Colvin, John Cummings, and Thomas Erdyeli all lived within a block radius. Joey described the middle-class Queens neighborhood residents as snooty. In fact, the brat in the “Beat on the Brat” is a typical rich kid running around Birchwood Towers playground and annoying everyone. 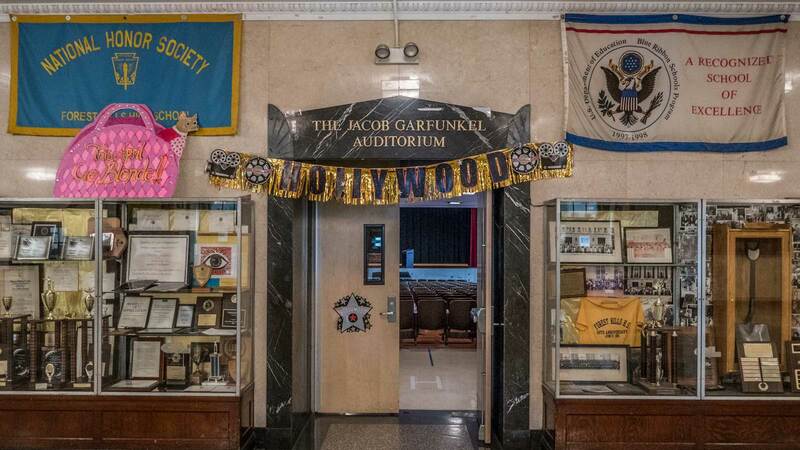 Fifteen years after Paul Simon and Art Garfunkel graduated from Forest Hills High School in Queens, a new breed of rock music was being heard in Lower Manhattan clubs like CBGB and Max’s Kansas City. All four of the original Ramones attended Forest Hills High School in Queens. John Cummings (later Johnny Ramone) and Hungarian-born Thomas Erdyeli (later Tommy Ramone) were outcasts who bonded over a love of The Stooges and other music. The Ramones took shape in 1974 after they met Jeffrey Hyman (Joey) and German-born Douglas Colvin (Dee Dee). From 1973 to 2006, CBGB operated as a small club at 315 Bowery and would serve as the launching pad for underground punk acts like The Misfits and The Dead Boys as well as more mainstream artists like Talking Heads, Patti Smith, and Blondie. On August 16, 1974, The Ramones played their first gig at this 350-capacity club in Lower Manhattan. They would go on to play 2,262 more shows around the world before finally calling it quits in 1996. Perhaps no other act is more closely associated with CBGB than The Ramones. The building is now occupied by Detroit-born designer, John Varvatos. Although the retail store primarily sells clothing and records, live concerts still occasionally take place inside the store. 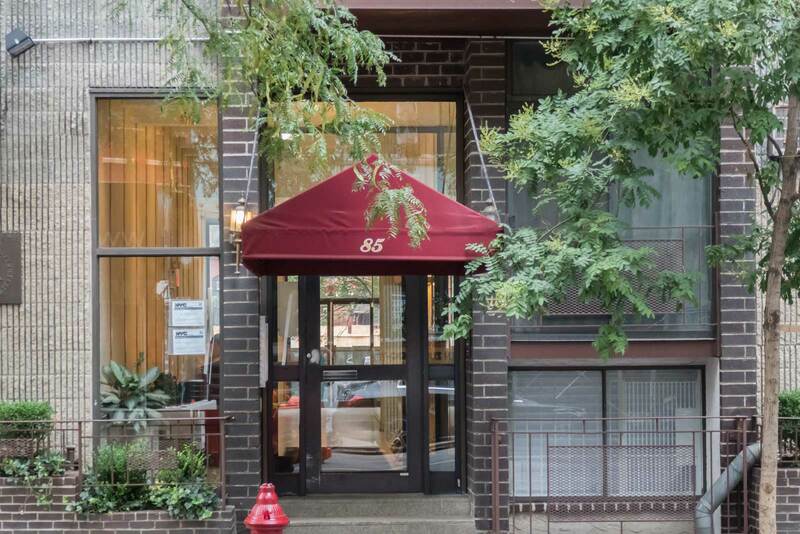 The Ramones played their first show of 1975 at a loft on 2nd Av, which would become a crash pad for Joey and Dee Dee. The man who resided there was Mexican-born graphic designer Arturo Vega. He would go on to become the fifth Ramone of sorts as creative director and would attend all but two of their 2,263 shows from 1974 to 1996. During their years as an active band, The Ramones never went a full year without playing a gig. Vega lived in the apartment until his death in 2013. Before the Citigroup Center occupied the area of East 53rd Street between 3rd Avenue and Lexington, it was a well-known center of male prostitution known as the hub. “53rd & 3rd” is a tale of a teenage hustler who never gets picked. When someone finally picks him, he takes his razor blade and does what God forbade. While the area has changed drastically since The Ramones released their 1976 debut album, the signs are still there. Whether or not the song is fact or fiction, may never be known since all four original Ramones have passed on. After getting married in late in 1972, John Cummings moved into an apartment complex at 67-38 108th Street in Forest Hills. He was a construction worker by day, but by night, he and his then-wife Rosana would drive into Manhattan to see bands like the New York Dolls. Neither the apartment nor John’s marriage to Rosana would last. By 1976, John left Rosana, took on a new identity as Johnny Ramone, and moved to Manhattan’s East Village. Many of the songs from the first two albums were written in what is now the Grover Cleveland Co-op building. Rockaway Beach was immortalized in The Ramones’ 1977 song off Rocket to Russia. It is the largest urban beach in the United States. Located at the southern end of the Rockaway Peninsula, it is New York City’s only legal surfing beach. Rockaway Beach is nearly an hour by car from Forest Hills and more than an hour by A train from Manhattan’s East Village, where Johnny and Joey lived during most of their time as bandmates. It’s busiest from Memorial Day to Labor Day. As he described in his autobiography, Dee Dee Ramone moved to Whitestone because it was far from Manhattan. The nearest subway stop is more than three miles away from the house he and his wife rented on the corner of Willets Point Blvd and 157thStreet. At the time, he was looking for normalcy and Whitestone may have felt more like nearby Long Island, than the chaos of the East Village. Each house on tree-lined 157th Street has a garage. His former landlord is still there and has fond memories of Dee Dee and his wife. What she remembers him saying the most was, “Don’t tell anyone I live here.” She says that other 80’s icons like Debbie Harry did make their way out to visit. Nearest Subway Station: Flushing-Main St.
Too Tough to Die is a fitting title for the first Ramones album after Johnny suffered a fractured skull during an altercation outside of his old East Village apartment. The incident made the cover of the New York Post and also appeared in the New York Times. 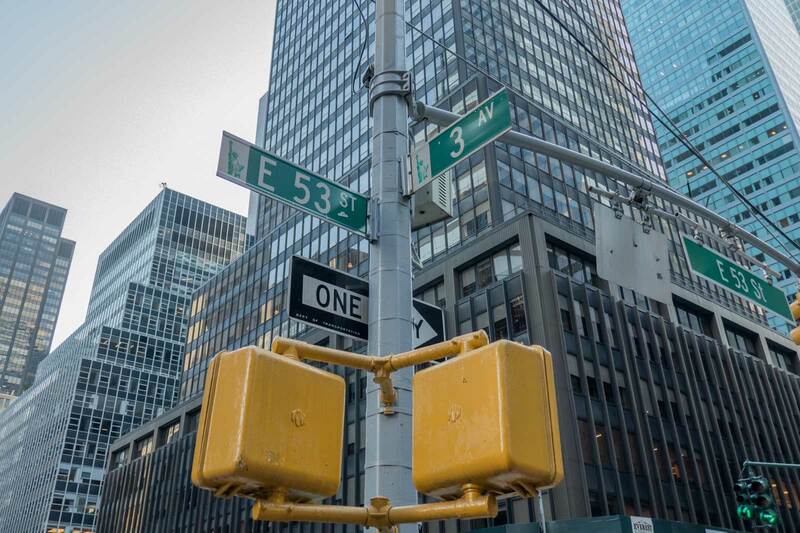 Joey Ramone Place may be the most stolen street sign in New York City. Although the sign now stands among trendy restaurants and high-end retail (the nearest Whole Foods is just two blocks away), it’s a reminder of who and what came from this tiny area between Little Italy and the East Village. The former CBGB is 150 feet away. The Ramones have the honor of having a street named after them near their high school. 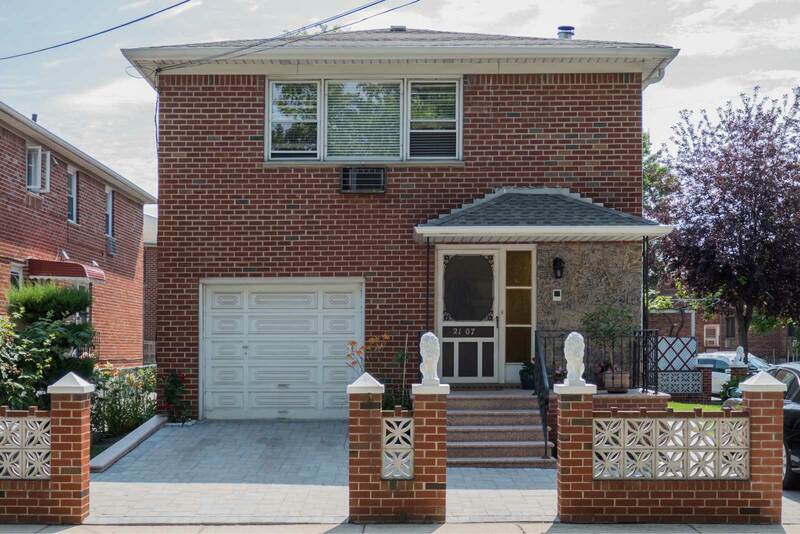 Homes in Forest Hills tend to be surrounded by large brick walls and probably cost seven figures. Joggers around Ramones Way are as common as in Beverly Hills. You are as likely to see a punk in a black leather jacket with body piercings as you are to see free parking in Lower Manhattan. This looks awesome! I’m going to have to send this to my brother he absolutely loves the ramones, and I’m going to go to every single one of these when I’m next in the states. Cool list! Although I have traveled all over the world for some reason I still haven’t made it to New York… I really enjoy reading your New York posts though and hope to be able to check out some of these places myself soon! Although I live in California now, I’m from Queens originally and had no idea about any of this! I have a friend who’s a big Ramones fan, and I’m going to share this with her. I’m sure she’d love to go see all of this in person! I am a great fan of traveling. though I have never visited USA till now. I am planning to visit there sometime soon to meet some of my friends and I like the idea to visit Ramones landmarks. Thanks for sharing. It’s so much fun to discover the places associated with your favourite band. I am not a Ramones fan but will share this with a friend of mine. 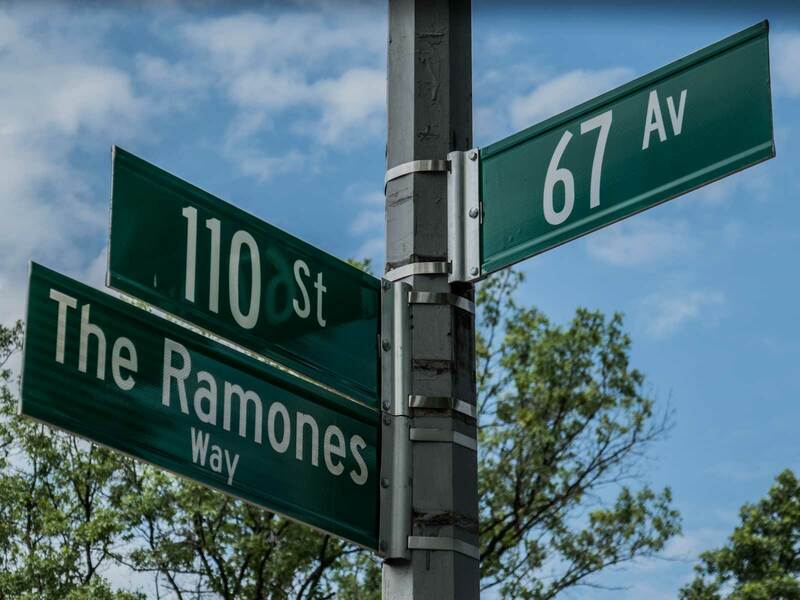 I have just been to NYC but I was not knowing about Ramone landmarks. Will visit in my next trip to New York. Your pictures are beautiful specially that of street art. Great list. I know a lot of people who love Ramones. I am definitely going to share it with them. What a fun article. I’m not a big Ramones fan but LOVE new york. I also think it’s neat to learn about places that are famous like this. Cool list! 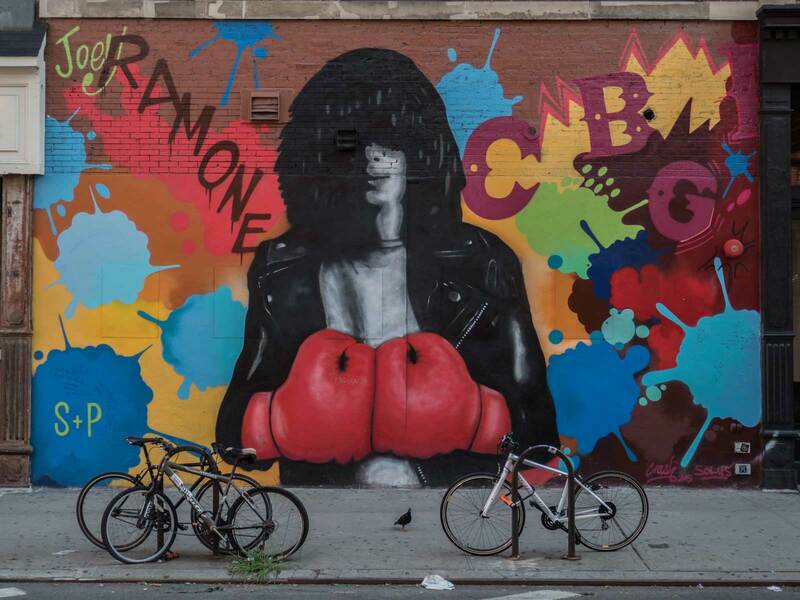 I don’t know too much about the ramones but as a street art fan I am of course loving the Ramone mural. I will have to do more research on him to find out more ! 53rd and 3rd sounds like a nasty place! I have heard about the Ramones but don’t recall hearing their music until I clicked on one of the links in your post. 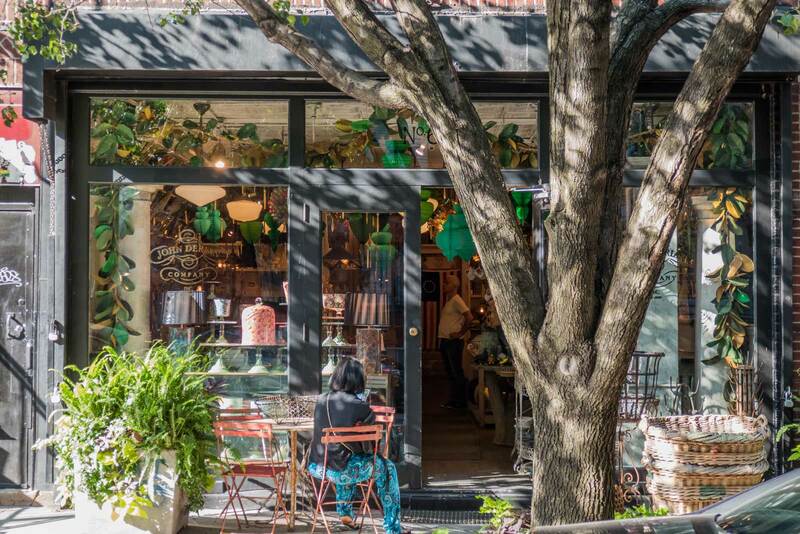 It sounds like an awesome way to discover New York city by visiting places around a theme. This was great! So much fab information and details. Next time I need to take that tour and visit those places. I saw the Ramones alive at Hammersmith Palace in London in the 80s 😀 1-2-3-4! I love learning about the history of the band– that is really cool. Especially about the “Beat a Brat” song was about real live situations that happened near the towers. Being in the NY i missed Ramone landmarks. Will have to make a trip here sometime. Your pictures are beautiful specially street art. Think it’s amazing to discover landmarks associated with your favourite band. I can’t wait to visit New York one day! I don’t follow Ramones but it was really interesting to know about it through your post. A lot of interesting facts in there. And you have followed the trail really well. What an interesting article! I don’t know the Ramones at all, but it is clear they had quite an influence in New York. Thanks for the interesting and unique post. I love this idea of music tourism, I’ve explored Liverpool to see the Beatles’ famous spots, and I’d love to see places in Seattle where Nirvana started out, so gutted I never got to see them live! I know BB King, but not DD King and while been to NYC many many times, you cover places I have not been. Yeah! Love the Ramones 🙂 Thanks for this whistlestop tour of the landmarks associated with (one of) New York’s finest. New York looks amazing! I’m not really a Ramones fan but I would still love to see these places!